We all have a story to tell. Your family may have lived in the same city for generations. You may have photographs of ancestors long past. Perhaps, you’re part of a neighborhood or community that created organizations or events that you’ve participated in as a child. Maybe you’ve lived in the same community for your whole life. We all have history that is valuable and should be preserved for the future. In archives, we preserve those stories. But, what about the histories that archives don’t collect? Who preserves the histories of families, communities, or small groups? What about community organizations or neighborhoods? Professional archivist or not, you can preserve your history too. 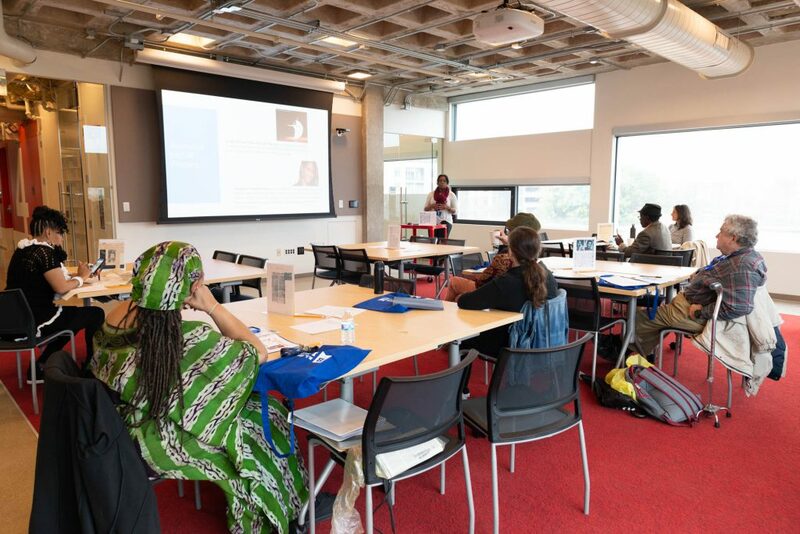 This past Saturday, October 27, 2018, the UB Special Collections & Archives hosted our 2nd Annual Community Archives Workshop at the RLB Library. Though outside the weather was chilly and rainy, inside the RLB Library we had a committed group of individuals interested in learning about preserving their personal historical documents. Community archives are generally managed by small groups of people or individuals who want to preserve their cultural heritage. These archives are often not housed in a formal institution like a university. Instead they are managed by the members of a family or neighbors in a community. They often document and tell the stories of people who may not be featured in other archives. 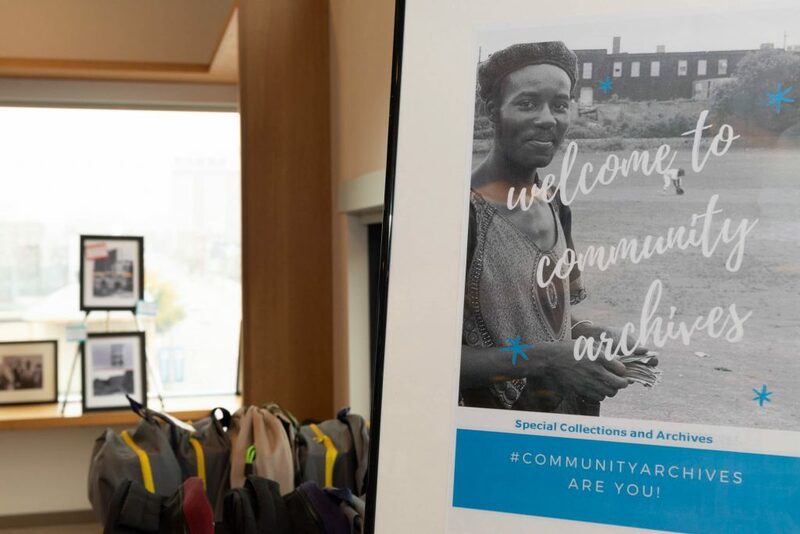 Community archives tell the unique stories of people and groups who are connected by their activities, neighborhoods, or families. Archivists can support community archives by helping to provide resources, support, ideas, and information on how to best preserve their historic documents, born digital materials, and other records. Baltimore has many communities and an abundance of history, and community archives can help preserve it! 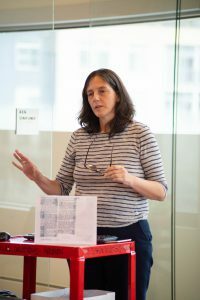 The Community Archives Workshop, hosted by the UB Special Collections & Archives, was first created in 2017 by Angela Rodgers-Koukoui, Archives Technician in the UB Special Collections & Archives, with the assistance of Megan McShea, Audiovisual Archivist at the Smithsonian’s Archives of American Art. You can read more about last year’s workshop here! The 2017 workshop provided community members with information about preserving their documents and histories. It was so popular that Angela was excited to plan another workshop this year. 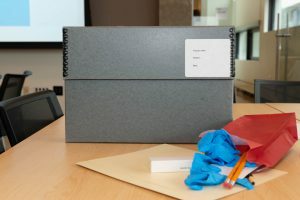 After learning from colleagues about a project at the University of North Carolina Libraries in which archivists had created “Archivist in a Backpack” kits, Angela decided to create her own version of a toolkit for community archives. Angela’s archivist kits were aimed to help people who were working to save their history, but who also needed information and resources to preserve their materials and archival documents. Angela created a kit for each workshop participant that included a backpack, an archival box, acid-free folders, gloves for handling photographs, appropriate pencils and materials for marking the backs of photographs, and other resources that an archivist often uses to organize and preserve records. Templates for creating inventories and documenting archival collections were also included in the workshop for participants. The kits and a presentation during the workshop provided excellent tools and resources for the attendees to get started on their own community archives projects. The day began with introductions and an opportunity to discuss the importance of preserving community history. Attendees shared why they were interested in preserving their personal, community, and family histories. Every person had a unique story to tell, ties to their community, local organizations, neighborhoods, past relatives, interest in local history, and a strong desire to see their stories survive through time. Megan McShea provided an in-depth presentation about the tasks involved when organizing and preserving historic documents (both physical and digital). Her discussion outlined the steps that everyone could take to preserve their own photographs, documents, and historic materials. Participants took notes, asked questions, and learned about the archival process for preserving their collections for future generations. The resources, internet links, and information Megan provided were invaluable to anyone hoping to maintain and save their personal archives. 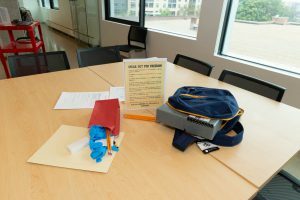 During the last portion of the event, workshop volunteers handed out the personal archivist kits and the instructions for creating inventories of records. The hands-on activity aimed to allow participants to learn more about some of the tools that could help them better preserve their own archives. Everyone had brought documents, photographs, or their family histories with them to ask questions of the volunteer archivists who were available during the event. As participants began looking at their documents and the new kits, Megan McShea, Laura Bell, Processing Archivist at the UB Special Collections & Archives, and Steven Gentry, Archives Technician at St. Mary’s College of Maryland, talked with individuals about their documents, provided further information, and offered advice and feedback for those with questions. The presentation and archivist’s kits with the hands-on activity provided the workshop attendees and the archivists volunteering with a chance to learn, discuss, and share with each other. The workshop and kits aim to empower community members to continue to preserve their personal and community archives. The UB Special Collections & Archives is excited to support our community and we look forward to the next workshop! This entry was posted in archives, baltimore, community archives, Special Collections and tagged American Archives Month, Archival Research, Baltimore, Baltimore History, Community Archives, found in the archive, Special Collections and Archives, University of Baltimore by Laura Bell. Bookmark the permalink. I would love to attend one of your event or get more info on what’s avaiable. Thanks for your comment! Angela has put on this workshop twice over the past two years. When she does it again we’ll advertise it here on the Blog and through social media, etc.. Feel free to contact us at specialcollections@ubalt.edu if you’re interested in researching at the UB Special Collections & Archives. Thanks! Next → Next post: From the Archives: The Ednor Gardens-Lakeside Civic Association Records Are Open for Research!